One thing I found was simply astounding. Heelo has no competition because most of what I found with mobile marketing was focused towards online sales. Global retail online sales only accounted for 10.2% of retail sales in 2017 and are projected to close in at 12% in 2018. Heelo has the other 88% pretty much to themselves. The main competition is geo fence that is way more costly and very inferior to Heelo. Now here is the real amazing fact. Restaurant online sales are about 5% and delivery is just 3% of all restaurant orders. There is fierce competition for online delivery and I am sure you heard of many. They have very high valuations, Grubhub over $7 billion and Doordash $1.4 billion. Heelo has no mobile competition and free reign on the other 95% of restaurant sales. How many $billion will that be worth? Ron thanks for the update. For non Canadians that maybe don't get the hockey stick thing, it represents a chart on a stock or growth where it moves very quickly almost straight up. Amazing new market, we are so fortunate to invest in a company at the leading edge of this new market. Ron great update and amazing growth numbers. I can't remember anything with such strong growth. The link you provided says 5 billion, not 500 million. I assume because this includes other blue tooth devices like head sets etc,? ""Increased broadcast messaging capacity in Bluetooth 5 will help drive these markets, as beacons will be able to provide much higher quality content and richer contextual information than ever before."" 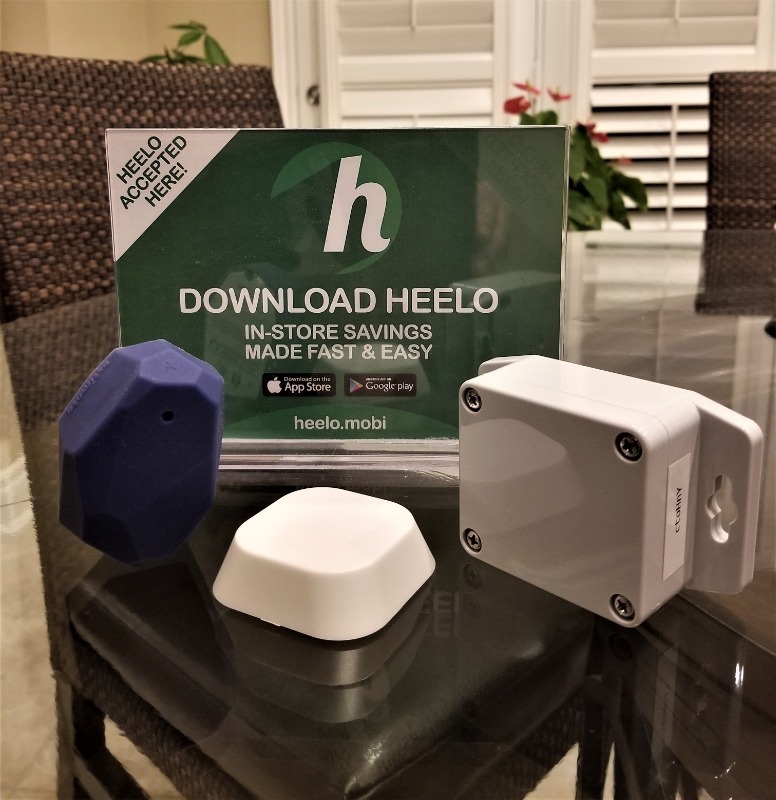 In the last couple weeks I have been doing a lot of market research and trying to find competitors and comparables to Heelo. Here are a few things I found. The hottest tech sector right now is Mobile proximity marketing with Beacon Technology. ABI Research expects 133% CAGR annual growth between 2016 and 2021 and that the overall BLE beacon market will break 500 million units by 2021. 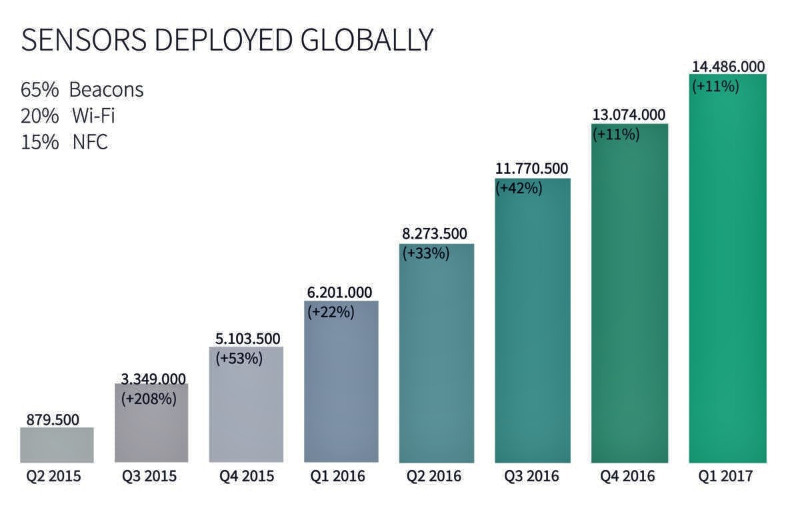 14.5M beacons shown below in 2017 to 500M is enormous growth. U.S. Digital ad spend overtook traditional media spend in 2018 and will reach $111.14 billion at at the end of 2019 and account for 55% of total ad spend in 2019. Globally, digital ad spending will rise 17.1% to $327.28 billion in 2019 with mobile making up about 2/3 at $232.34 billion, according to eMarketer. The market is saturated with Social & Service type Apps that have witnessed tremendous growth in the past several years. 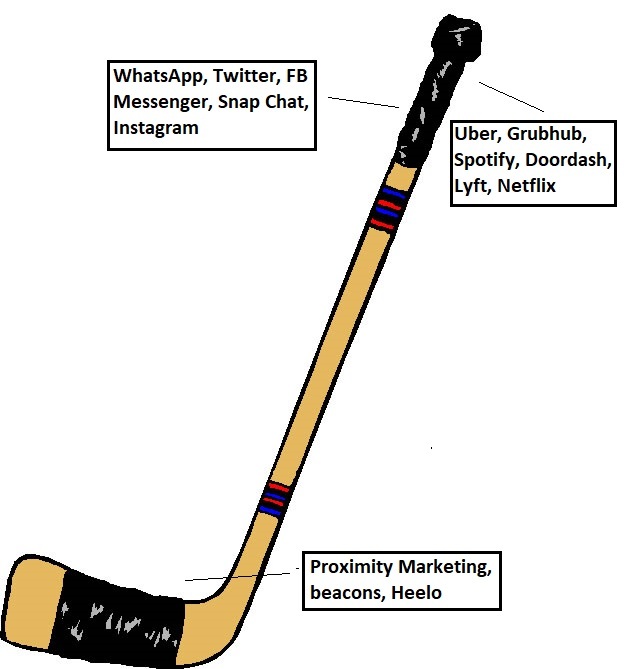 While proximity marketing Apps are at the bottom of the stick, only beginning to gain traction.. Furthermore, what we have learned and the feed back we now have from large corporations, Roy probably said it best. Agree, with anything knew that there is a learning curve. That is the reason we are signing 2 and 3 year contracts, because there will be a learning and adoption curve. Heelo is working hard with associations and agencies, having them endorse Heelo will really accelerate adoption. Ron, glad I got into this, the more I look into the better. A lot of retailers are asking customers to jump through all kinds of hoops and fill out forms to collect personal data and give them a deal or chance to win a prize. I have been watching the last few weeks where ever I go and nobody can be bothered. I know I never do it. It might take a bit of education for consumers to learn that Heelo collects no data and they don't have to fill out any forms etc., but when it does KaBoom!! The Financial Post reports in its Monday edition that marijuana is still a Schedule 1 drug in the United States, which makes it hard to advertise. A Bloomberg dispatch to the Post reports that with a growing number of states legalizing weed for recreational and medical purposes, the U.S. market could surge eight-fold to $80-billion (U.S.) in sales by 2030, according to Cowen & Co. It is hard, however, to see that happening unless companies can market their wares the way beer and liquor companies do. After decades of prohibition, many consumers need a push to give marijuana a try. CMW Media operator Kyle Porter says: "The public has a stigmatized view of the product but legitimate business owners can't reach them -- it creates mistrust. We're really limited in how we can reach customers." For several years, marijuana companies have considered Instagram an ideal place to build their brands. Instagram, however, does not let weed sellers advertise. It allows "marijuana advocacy content," but posts promoting the sale of cannabis are verboten. Dispensaries are prohibited from providing contact information, including phone numbers and street addresses, "regardless of state or country." Last Edit: 2 months 2 weeks ago by RonS. "VANCOUVER, British Columbia, Feb. 04, 2019 (GLOBE NEWSWIRE) -- Mugglehead believes that Canadian cannabis retailers will be the next big focus for the industry. The current marijuana retail industry is practically non-existent today. Not only that, the shopping experience from retailer to retailer, even amongst the same company brands, are incredibly inconsistent. That’s because Cannabis branding in Canada, like tobacco, is extremely regulated. More importantly, it’s extremely restrictive. How can any marijuana retailer leverage brand and shopping experience – the way Starbucks has with coffee – when there are so many restrictions on branding and packaging?"